My work ranges from the sculptural using the technique of hand raising to create fluid organic forms to fabricated elegant tableware. I design and make all my own work allowing me to give my full attention to creating quality modern pieces that offer a bold striking aesthetic different to the norm. As a child my mother worked in a Japanese antique shop, herself being Japanese, where I spent much time during school holidays. I believe being surrounded by so many beautiful objects instilled in me a love for craftsmanship and a sense of aesthetic. I try to find essential true form within my designs and believe that simplicity is the key to true elegance, when something is just right proportionally it has a vitality and quality that sings out at you. My background of 12 years being a chef has given me the expertise and passion to enhance the experience of eating and drinking with my silverware. I understand how the full experience of presentation and process of say for example decanting a wine can enhance and accentuate enjoyment, my pieces will appeal to those who enjoy the sense of performance using my tableware will bring. Making food is a wonderful way to nourish people but it is transient. I believe as a creative maker the things I produce contain and transmit energy enriching people`s lives so I wanted to find a way I could focus and concentrate my energy into permanent tangible objects. Silversmithing is a wonderful vehicle for this using such a clean vibrant material. I did a Foundation in Art and Design at the City Lit. graduating with a `distinction`; I then went on to do an Applied Arts BA at Middlesex University graduating in 2009 with a `First Class Honours` and did a year course at the renowned Bishopsland Educational Trust. 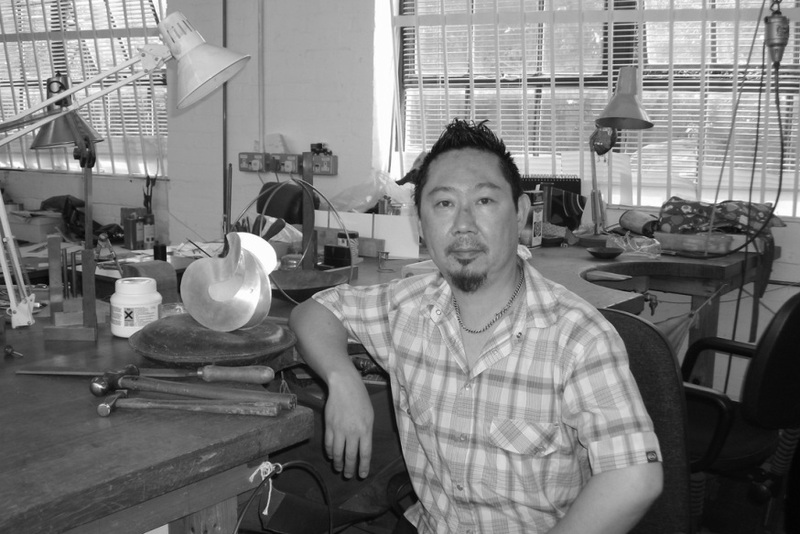 Click on this link for an interview I did for the Jigsaw website blog, entitled `The Art of Silver`, it is an article where I talk about my inspirations and creative process.